We were recently able to do a big Beatles crate dig while visiting the city of Newcastle in New South Wales, Australia. It yielded a few treasures. Ah, Newcastle. A former steel city now more focussed on tourism, education, health services and coal exports, it must also be second-hand central when it comes to the large number of shops it has selling vintage books, records and CDs. We got around to some (but not all) the outlets due to time constraints. But those we did get to were worth it. 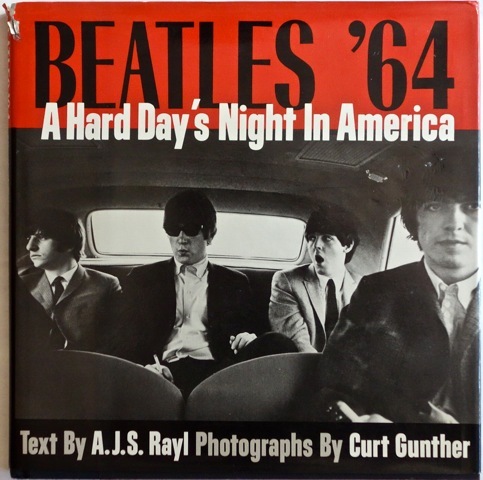 Found this great book in a second-hand bookshop called Indigo Books on Hunter Street: With this year being the 50th anniversary of the Beatles invasion of the USA, who could resist a book with the title Beatles ’64 – A Hard Day’s Night in America…. Yes, it has a small rip in the dust jacket, but this book is a fantastic memento and really worth having. Gunther’s photographic career spanned over four decades. 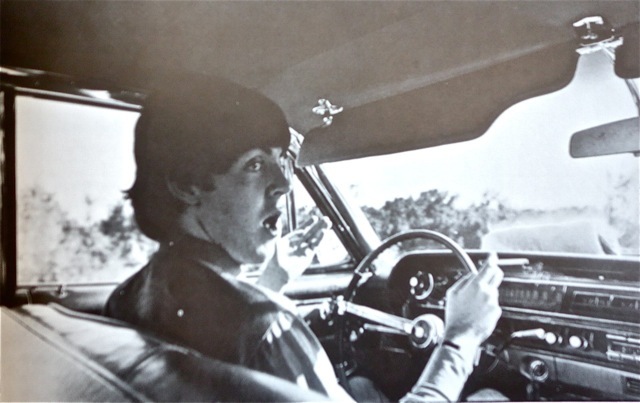 He met the Beatles in 1964 and a friendship was formed. Asked to pay his own way on the tour he offset his expenses with winnings from nightly poker sessions with the band! 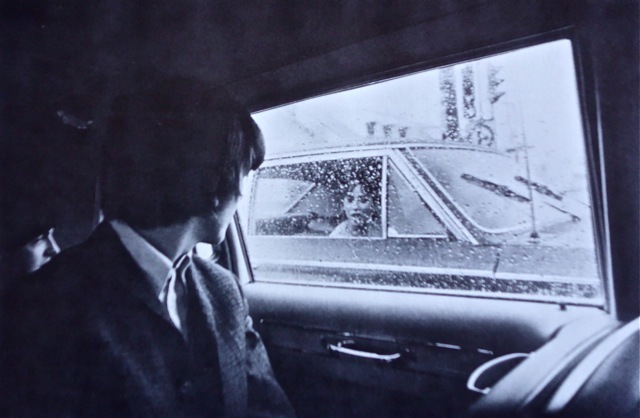 Find out more about Curt Gunther here, and see more of his Beatle images. 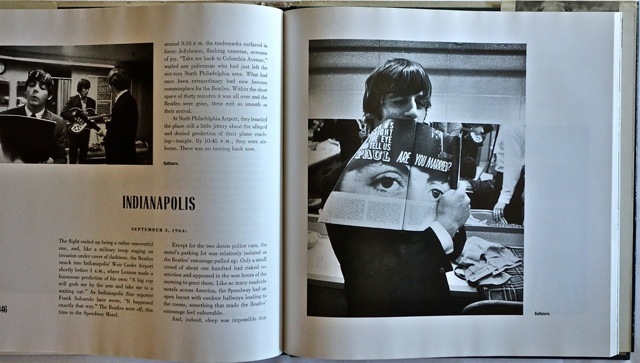 It’s a book really worth having in the collection – especially in this the 50th anniversary year. Here’s an interesting review which also contains a couple more of the Curt Gunther images. We’ll definitely be heading back to Newcastle again soon as there is certainly more Beatles treasure to discover there. In coming posts we’ll feature a couple of other nice things we found. 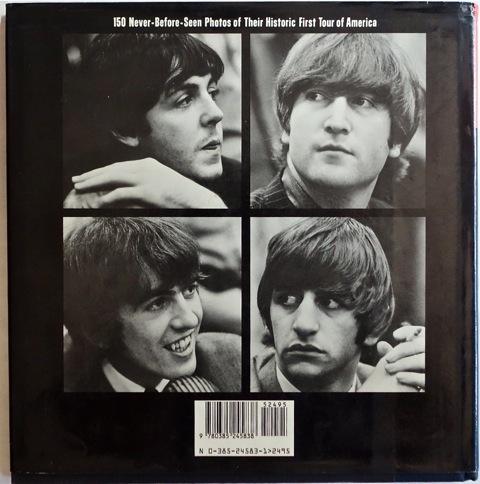 This entry was posted in Beatles, Beatles Books, Beatles Collecting and tagged 1964, 50th anniversary, Beatles, Beatles '64, Beatles Books, Curt Gunther, US Tour by beatlesblogger. Bookmark the permalink. A great find, and thanks to your tipoff about this book’s existence I managed to track down a copy on ebay. 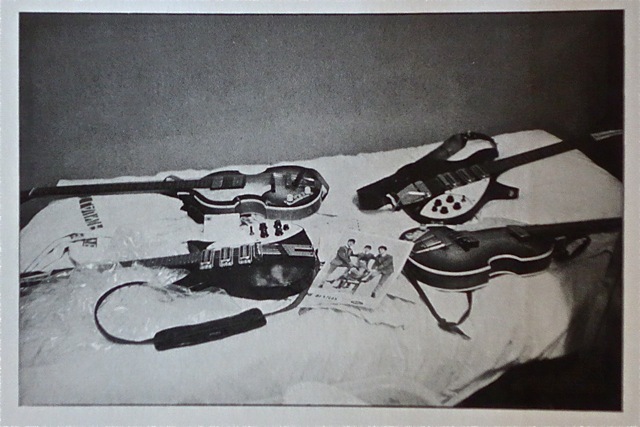 As a Beatles guitar nerd, it was worth the price of admission alone just for the photograph I’ve not seen before of Paul’s two Hofner basses together with John’s then relatively newly acquired Rickenbackers (both the 6- and 12-string versions). 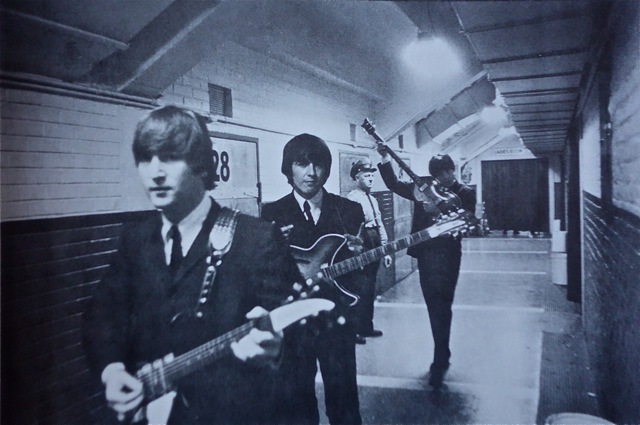 50 years ago Sept 1964. My family was honored to be involved in the weekend vacation the Beatles enjoyed in the Ozarks. We have our own pics and memories of these young men who were kind and funny. They were flown from Dallas to the Pigman Ranch in Alton Missouri where they relaxed, rode horses, fished, swam in our pool and gave our barn cats a lot of attention. They were a wonderful group of guys along with Brian Epsein. They knocked on our door and asked to borrow our fishing poles and it wasn’t that crazy screaming drama stuff you read about or saw pics of. We were honored to host them and provide an area of refuge for them. They changed our lives and we were honored to show them some Southern hospitality! Our community foundation is hosting a festival and we invite all our Beatle friends to come! Check out http://www.ozarksbeatlemania.com for festival info. George’s sister manages the Liverpool legends from Branson Mo and they are performing a concert for us! Wow Sheila. What a great story and what great memories. I’d love to see some of the pictures from the visit if you have any. You must have been extremely lucky to find this book. I have lived here since 1990 and I visit the second hand record and book stores on a regular basis. All I’ve managed to find is a mint copy of Magical Mystery Tour (WRC “S” Label) for $12.00. Good luck with your next expedition.